Like Sharon Van Etten and Angel Olsen? 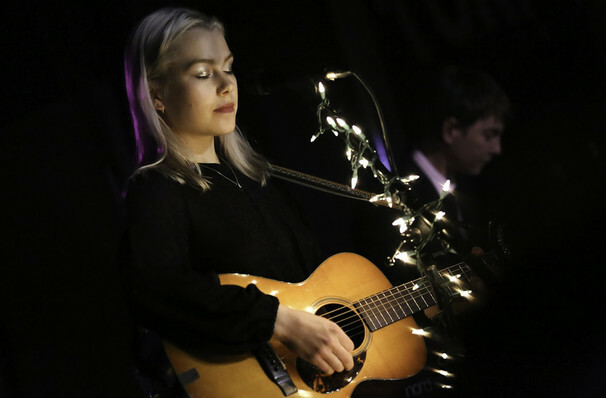 Then get ready to fall head over heels in love with Los Angeles' Phoebe Bridgers. Why See Julien Baker and Phoebe Bridgers? Two of the most arresting female performers on the indie scene today join forces for a hotly anticipated co-headline trek across North America, providing the perfect bittersweet soundtrack to the falling leaves of autumn and first winter frosts. Rising folk rock songstress Phoebe Bridgers and Tennessee singer songwriter Julien Baker have forged a musical friendship filled with dreamy pop hooks, heart-wrenching confessionals and a cathartic sense of melancholy that marks their music as haunting, uplifting and soaring all at once. 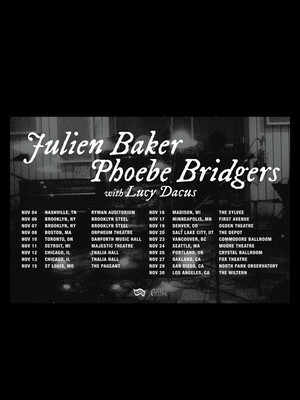 Baker and Bridgers also welcome indie rocker Lucy Daucus as support on the tour. The trio have recently formed a supergroup called Boygenius, releasing a full 6-track EP in August 2018 when they realised their experimentations together had lead to hours of album material. 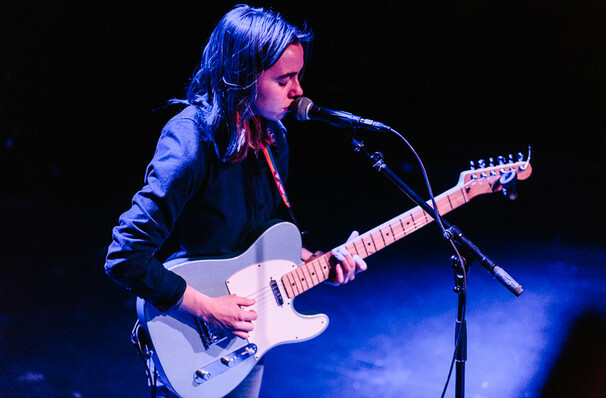 Each musician is set to play a solo set, but a recent press release suggests that they may join on stage to play a few Boygenius songs together. Seen Julien Baker and Phoebe Bridgers? Loved it? Hated it? Sound good to you? Share this page on social media and let your friends know about Julien Baker and Phoebe Bridgers at Majestic Theater. Please note: The term Majestic Theater and/or Julien Baker and Phoebe Bridgers as well as all associated graphics, logos, and/or other trademarks, tradenames or copyrights are the property of the Majestic Theater and/or Julien Baker and Phoebe Bridgers and are used herein for factual descriptive purposes only. We are in no way associated with or authorized by the Majestic Theater and/or Julien Baker and Phoebe Bridgers and neither that entity nor any of its affiliates have licensed or endorsed us to sell tickets, goods and or services in conjunction with their events.